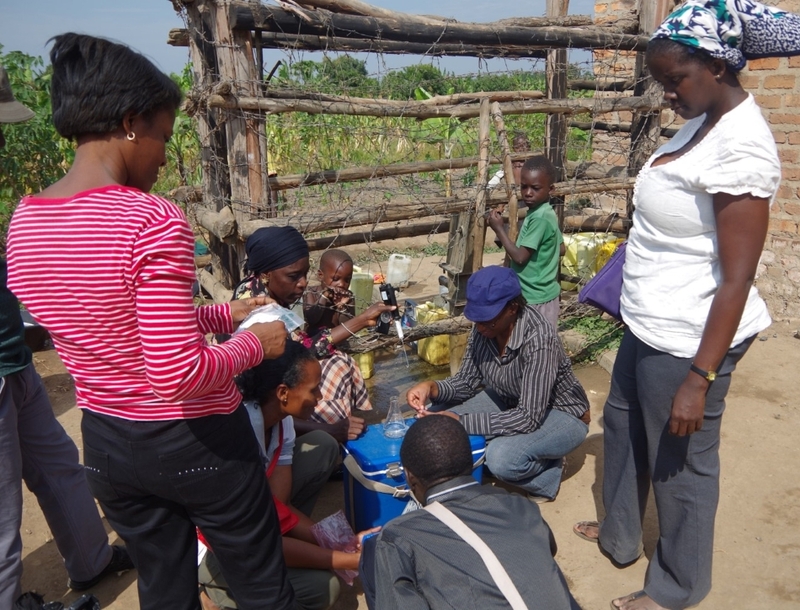 Researchers from AfriWatSan consortium testing the quality of water from a shallow well in Lukaya Town, Uganda. The theme for World Water Day 2019 is ‘Leaving no one behind’, linking to the United Nations Sustainable Development Goal (UN SDG) 6: ensure availability and sustainable management of water and sanitation for all by 2030. World Water Day raises awareness of and advocates for the sustainable management of freshwater. Currently, over a quarter of the world’s population uses a drinking-water source contaminated with faeces, leading to potentially fatal diseases including cholera, typhoid and polio. We spoke with researchers, funded by the Royal Society and DFID, who are part of the AfriWatSan consortium and are researching ‘Sustaining low-cost, urban water supply and sanitation systems in Africa’. The lead researchers are Professor Cheikh Bécaye Gaye (University Cheikh Anta Diop, Senegal), Professor Daniel Olago (University of Nairobi, Kenya), Dr Michael Owor (Makerere University, Uganda) and Professor Richard Taylor (University College London, UK). Our research seeks to better understand the capacity of subsurface water in rapidly growing African towns and cities in order to provide both a source of safe water and receptacle for faecal waste. This understanding is critical to improving the health and wellbeing of urban communities who are susceptible to diseases associated with poor water supply, sanitation facilities and domestic hygiene. Our research recognises that for many neighbourhoods, particularly the less wealthy, achieving universal and equitable access to safe water and sanitation by 2030 depends on small-scale water supply and sanitation technologies such as wells, springs, septic tanks and pit latrines. These localised water supply and sanitation solutions are not only of lower cost but have a reduced environmental impact as they decentralise water supply and sanitation infrastructure. AfriWatSan’s research involves analyses of the current water supply and sanitation infrastructure under conditions of varying population densities found in a town (Lukaya, Uganda), city (Kisumu, Kenya) and mega-city (Dakar, Senegal) in Sub-Saharan Africa. In each, we have conducted detailed mapping of on-site water supply and sanitation facilities and are monitoring the operation of these systems and their health impacts. In doing so, we can inform the planning, development and operation of more sustainable on-site water supply and sanitation systems. Your research is carried out by working with groups across the world. How has this helped your research? A key benefit of working with groups across the world through a research consortium is that we are able to learn from different experiences, histories and approaches to water supply and sanitation provision across the partner countries. Critically, funding has enabled us to support the training of PhD students, who will be the scientists of tomorrow. These students benefit from a cross-disciplinary understanding of water supply and sanitation systems, including their influence on health and wellbeing, that draws from natural sciences, social sciences, engineering and health sciences. All members of the consortium have benefitted from being linked to colleagues across the world working in different disciplines focusing on issues of water safety and health. 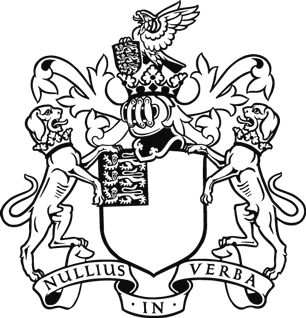 The funding has further enabled the strengthening of expertise of technicians who represent a key component of our research programme. We have also been able to upgrade the equipment in our laboratories and used as part of field research. What challenges do you see at a local and global level with your research? Our main challenge is how to provide safe water and sanitation under unprecedented rates of urbanisation. Current rates of population growth in urban Sub-Saharan Africa are more than three times faster than that experienced in cities whose infrastructural development was subsidised by historical colonialism. These communities are further impacted by health systems which are ill-equipped to deal with diseases stemming from poor water quality. We therefore need radical, unconventional solutions to address the water-related challenges of these areas. Recognising the potential of the subsurface to provide a localised source of safe water and receptacle for faecal waste requires careful development and management informed by science. The impact of our research is both local and global. Locally, we work with partners in each urban environment including local government, government ministries, community organisations, water vendors and charities. We seek to directly impact the development, operation and maintenance of on-site water supply and sanitation solutions that are sustainable and equitable. These solutions should be of the same high quality as conventional piped water and sewerage systems commonly found in higher-income communities. Through our regular participation in international scientific meetings and publication of research outcomes in international, peer-reviewed journals, AfriWatSan has been able to draw attention to science and solutions addressing the challenge of urban water supply, sanitation provision and health in rapidly growing towns and cities of the tropics. The main beneficiaries of our research are the lowest-income neighbourhoods in towns and cities of Sub-Saharan Africa where access to safe water and sanitation is the lowest in the world. How do you work with the community in the areas you research in? We engage directly with communities and their local government representatives in each of our observatories in Kenya, Senegal and Uganda. We hold workshops and meetings where we listen to the views of the community and learn about the ways they use their on-site water supply and sanitation facilities and the problems that they face. This engagement is critical as it not only informs our research but it also ensures that solutions to achieving universal and equitable access to safe water and sanitation are implementable and grounded in the realities of the users’ experiences. On World Water Day, what message would your consortium like to convey to encourage people to take an interest in the importance of achieving universal and equitable access to safe water and sanitation? Many people in low-income countries do not have access to safe water and sanitation, which has a direct negative impact on their health and wellbeing. These conditions represent a denial of a basic human right as agreed under the United Nations Covenant on Economic, Social and Cultural Rights, signed by 145 nations and which came into force in 1976. Ensuring the availability and sustainable management of water and sanitation for all by 2030 remains a global challenge, perhaps greater than any other. Solutions, however, do not have to be big or cost the Earth. Solutions can be small, simple and local but they do require support and a pact of working sustainably within our urban environments – an idea for which we might all be better off.